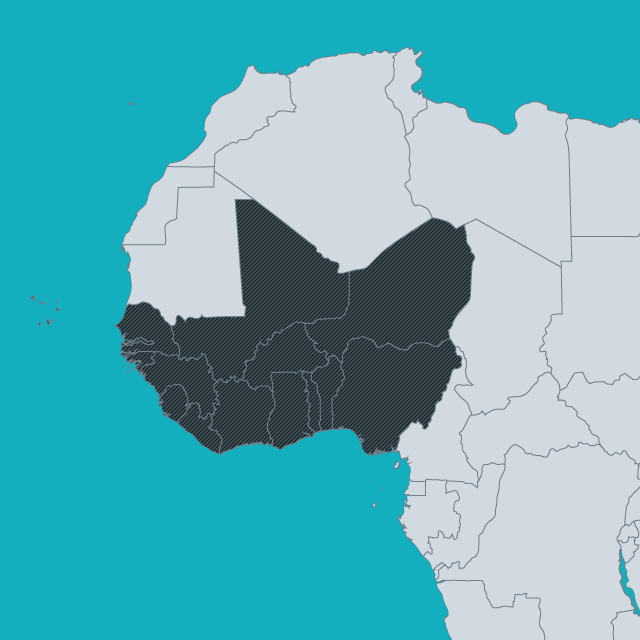 The fifteen states of West Africa region are also grouped together within ECOWAS, the Economic Community of West African States. ECOWAS, first established by treaty in 1975, is the regional economic community recognised by the African Union that has progressed furthest with regional integration, starting from the 1979 Protocol Relating to Free Movement of Persons, the Right of Residence and Establishment. In addition to its treaty framework on free movement, in 1982 ECOWAS adopted the Protocol Relating to the Definition of a Community Citizen. In July 2014, the ECOWAS Authority approved the introduction by 2017 of a new ECOWAS national biometric ID card, to replace the common form passport provided for since 2000, and the abolition of the requirement for residence permits for ECOWAS citizens resident in another ECOWAS state. At a ministerial conference held in Abidjan in February 2015, ECOWAS member states also adopted the important Abidjan Declaration on the Eradication of Statelessness, which committed the region to further action to implement the right to a nationality for all. In 2017, states approved a regional plan of action to implement the declaration. Like other regions, West Africa has seen a strong trend to reduce gender discrimination and permit dual nationality. Common action on nationality matters within the region is facilitated by the common civil law heritage of many of the states (both francophone and lusophone), many of which have strong rights based on birth in the territory and an important role for the courts in nationality. The state that has seen the most important crisis related to nationality is Cote d’Ivoire, where the law has since 1973 provided for nationality based only on descent. The civil war that broke out in 2002 was to a large extent caused by the denial of the right to belong of the descendants of migrants from other West African states.